An unprecedented study of teen driving shows the connection between distracted driving and teen crashes is stronger than originally thought. The study found that police estimates of crash statistics were way off. Six out of ten moderate-to-severe teen crashes are caused by distracted driving — four times as many as original estimates claimed based on police reports. AAA Foundation for Traffic Safety and Lytx (a company that has collected data using in-vehicle event recorders for a decade) compiled data to create a 71-page report that shows we underestimated the dangers of distracted teen driving. Researchers analyzed the six seconds leading up to a crash in nearly 1,691 videos of crashes involving drivers ages 16-19 and found that distraction was a factor in 58% of crashes. Distraction played a role in 89% of road-departure crashes and 76% of rear-end crashes. 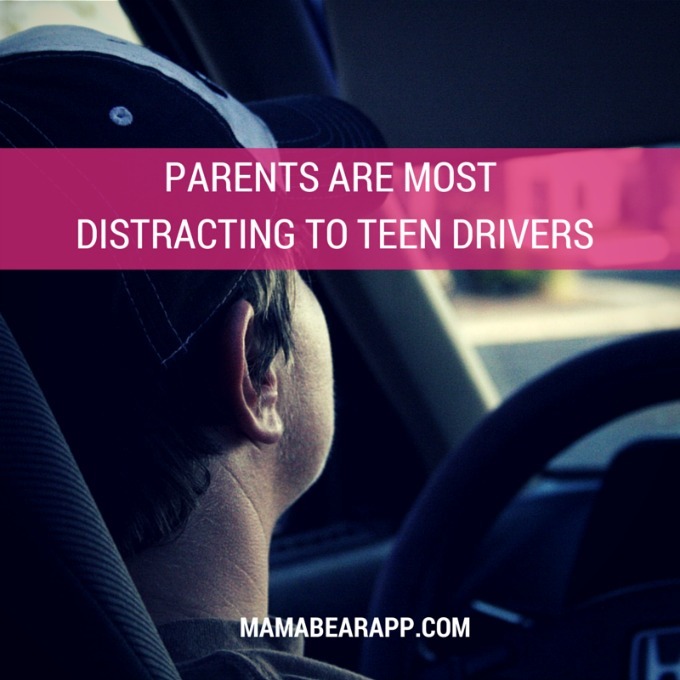 Passengers are the most dangerous distraction for teens. According to the report, 15% of crashes were caused when the driver was interacting with one or more passengers. Digital distractions caused teens to take their eyes off the road for “an average of 4.1 of the final six seconds leading up to the crash,” the study reported. It also limited reaction time. In rear-end crashes, teen drivers using cell phones were more likely to crash without steering away or braking. Ordinary distractions are just as dangerous. Parents may focus on teaching their teens to put their phones away while driving, but they need to remind them about ordinary distractions they may underestimate. A surprising percentage of crashes were caused by common distractions. Create a Safe Driving Contract — Use a safe driving contract to set boundaries and expectations for your teen’s driving. AAA offers a free PDF agreement for parents that outlines both rules and consequences of driving. Limiting the Number of Passengers — Interacting with passengers was the number one cause of accidents for distracted teen drivers. Limit the number of passengers that your teen can have in the vehicle and let them work their way up to having more passengers as they get more driving experience. Teach Your Kids About #X — Remind your teens that they don’t need to respond to text conversations while they are driving. They should use a tactic from the “It Can Wait” campaign and simply text #X before getting behind the wheel — which is a way to pause the conversation until they are off the road. Don’t Contribute to Your Child’s Distracted Driving — Parents who expect their children to answer their phone at all times could be increasing the amount of distracted driving their teens are involved in. All but one teenage driving demographic surveyed by APA said that parents were the number one contact they talked to while driving. Set a Good Example — If you frequently engage in distracted driving in front of your teen, they will begin to see that as a normal driving habit. So, practice the same safe driving habits you would like your teen to exhibit. Monitor Their Speed — You can’t be on the road with your teen every time they drive, but you can be aware of their activity on the road. 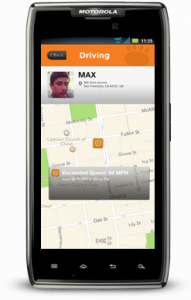 With MamaBear, The Ultimate Parenting App™, parents can receive alerts regarding where their teen is driving and how fast they are going. The free app, available for iPhones and Androids, is a way for you to give independence to your teen driver while staying connected to their driving habits and encouraging safe driving practices. Getting a driver’s license can be one of the best days ever for a teen. However, it may not feel that way for parents. Teenage driving is a dangerous activity that parents are naturally concerned about. But with the right tools and preparation, parents can help instill driving habits that will keep their teens safe on the road. Because many teens think they are invincible, it is important to educate them on just how dangerous teen driving can be. Share facts that show how careless and distracted driving can increase the odds of a car crash. The Florida Drivers Guide for Parents and Teenagers share statistics that show the reality of teen driving. The first 1,000 hours behind the wheel are the most dangerous. The #1 cause of death among American teenagers is car crashes. One-third of fatal teen car crashes is caused by speed. Teen accident rates double when the number of passengers goes from two to three. Teens are more likely than any other group to have a single-car crash. Review common driving errors so your teen is aware of them and recognizes how to correct and avoid them. Agreeing to a driving contract early on gives you the opportunity to lay out expectations and set consequences if the rules are broken. Create a document that your teen reads and signs. Every teen should agree to most important rules. I will wear my seatbelt at all times. I will pull over if I need to use my cell phone. I will never go over the speed limit or drive recklessly or aggressively. I will never drink or do drugs before driving (and never ride with someone who has). Then, go over rules and expectations that are unique to your and your teen. Driving Hours: Set a time frame when your child is allowed to use the car. 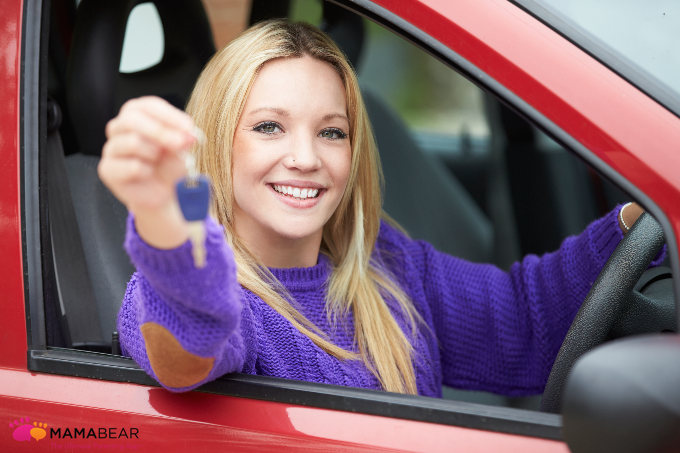 Make sure to consider local laws for drivers under the age of 18. Number of Passengers: Set a rule for how many passengers are allowed in the car. Violations and Tickets: Set consequences for receiving violations. Decide who is responsible for paying for tickets. Vehicle Responsibility: Discuss vehicle maintenance and who is responsible for repairs and gas. Teach your teen how to notice signs that maintenance is needed. When your teens get their license, you can’t always be with them to ensure they are incorporating safe driving habits. But there is a way for you to make sure your teen isn’t speeding (or riding with other drivers who speed). The Mama Bear Family Safety App has a feature that will alert you if your teen is in a vehicle that is going over your set speed limit. The app will tell you where the incident occurred. This helps you hold your teen accountable for their actions and further stresses the importance of safe driving habits. Your teen getting their driver’s license doesn’t have to be a scary day for parents as long as you follow these steps and use tool like MamaBear Family Safety app (available for both iPhones and Androids). A whopping 86% of high school juniors and seniors admit to using their cell phones while driving, according to a statistic presented by American Psychological Association. That is dangerous data when paired with another statistic. Twenty-six percent of the nation’s car accidents were caused by the use of cell phones, per the National Safety Council’s annual injury and fatality report. With so many teens using their phones while driving, and a high correlation between accidents and distracted driving, instilling safe driving habits in teens is becoming increasingly important. That starts with parents — because they could be the root of the problem. In a recent presentation “Is That Mom on the Phone? — Teen Drivers and Distraction,” the American Psychological Association explains that parents may contribute to the amount of distracted driving their kids do. APA reviewed current data on the topic and conducted research of their own by surveying 395 teens, and found that teens often use their phone while driving because of influence by their parents. Teens aren’t the only drivers using phones while driving. Adults, including parents, frequently engage in distracted driving. The Center for Disease Control and Prevention released data that 69% of US drivers reported they had talked on their phone while driving within 30 days of being surveyed. With examples of distracted driving all around them, teens tend to increasingly replicate the habit the longer they drive. Thirty-four percent of drivers ages 15-17 said they didn’t use a cell phone while driving. While only 10% of 18-year-olds said they didn’t use their phone while driving. When teens see so many examples of distracted driving, they begin to believe it is common. Parents need to reinforce that distracted driving is dangerous by setting an example and never driving while texting or talking. Parents often expect their teens to answer their calls or respond to their texts right away. This pressures teens into thinking that they always need to answer, even if they are driving. All but one teenage driving demographic surveyed by APA said that parents were the number one contact they talked to while driving. Teens talk to their parents more often than they talk to their friends while driving. Fifty percent of 18-year-olds said their phone time was spent talking primarily to parents. Successfully teaching teens how to incorporate safe driving practices starts with the parents. A few ways parents can help instill safe driving habits in their teen include the following. Be a good role model. Don’t talk or text while you are driving. Ask your kids if they are driving. Within the first 30 seconds of a phone call with your teen, ask them if they are driving. If they are, tell them to pull over and call you back. Use a monitoring application. Programs and apps can help prevent distracted driving. MamaBear Family Safety App uses GPS so parents can connect with their kids without making phone calls (and also monitor car speeds). Other apps that disable phones while vehicles are in motion are also available. Understand that kids might miss your call when they are driving. Don’t repeatedly call if your teen doesn’t answer right away. Give them time to pull over and make a call. Make it easier to connect with your teen and encourage them to be a safe driver with the MamaBear Family Safety App (available for iPhone and Andriod).